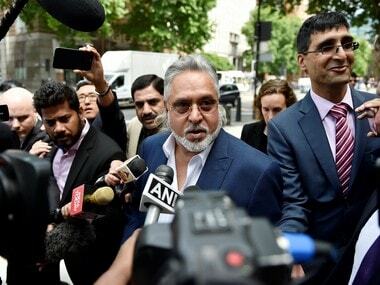 New Delhi: A UK Court today refused to buy the argument that the Indian judiciary is corrupt while clearing extradition of former liquor baron Vijay Mallya to India, who is wanted in India on charges of fraud and money laundering amounting to around Rs 9,000 crore. Brushing aside the witness statement given by Martin Lau, professor of law at the School of Oriental and African Studies, who was deposed on behalf of Mallya as an expert on South Asian law, Chief Magistrate Judge Emma Arbuthnot observed: "I do not accept that the courts in India are there to do what the politicians tell them to do. As I have already said, the court will be under great scrutiny. I do not find any international consensus which would enable me to find that the judges in India are corrupt. The most the Professor could do was give me a handful of individual examples where the process appeared to be defective in one way or another. Such defective processes came to light and were corrected by the senior courts." Mallya's defence team tried to raise questions over not only the Indian judiciary but also the premier investigating agency probing his case. The defence team raised the issue of political interference and questioned the competency of the agency by raising the Arushi Talwar murder case. Judge Emma, in the judgment, said that defence witness professor Lau questioned the independence of the judiciary. “The defence relies too on the evidence of professor Lau that the Supreme Court had given preferential treatment to the creditor banks in this case which made it appear less neutral and impartial. The Professor explained that the Supreme Court was heavily burdened but that the case against the RP and others proceeded at pace. The professor (Lau) said he had the highest respect for the court but had some doubts about the patterns of its decisions in (the) favour of the government. The professor made it clear that he was not saying it was a corrupt institution. It was just that judge nearing retirement lean in (the) favour of the government in the hope of later jobs." The order further said that the professor was specifically asked about his criticism of the Supreme Court of India. "He said he still stood by his evidence that the proceedings in that court were quite fast in the light of other delays, although he accepted that the GOI had had no knowledge of the petition presented by the banks. The professor was taken through the chronology of the civil proceedings taken against Mallya by the banks. The professor maintained that the proceedings were taken 'rather swiftly' but accepted the Supreme Court was not a corrupt institution," it said. Professor Lau also criticised the Supreme Court of India for dealing with the civil case against Mallya too quickly. "I found this is not a relevant criticism as it was clear that the proceedings were an ex parte application for an interim injunction. The professor made it clear that he had the highest respect for the Indian Supreme Court.... 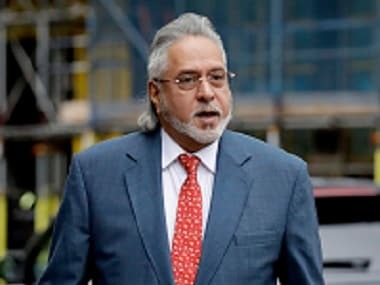 There was no evidence which allowed me to find that if extradited, Mallya was at real risk of suffering a flagrant denial of justice," the UK Court said in the judgment. Besides, Lau, Professor Lawrence Saez, a political-economic scientist was also presented as a witness by Mallya's legal team. Professor Saez was called to express his views about whether Mallya's prosecution was politically motivated as well as analyse the credentials of the CBI. The UK court refused to buy the arguments made by professor Saez as well, in which he said that the politicians in India were using the controversy around Mallya to score political points against each other. The professor’s next suggestion was that the CBI who had investigated the case was susceptible to political interference. He argued there was concern about the lack of independence of the CBI and described the CBI as a “caged parrot” speaking with its master’s voice. In cross-examination professor Saez agreed that Mallya's political beliefs were not the most significant element with relation to the prosecution that was being brought against him. The professor also accepted that Mallya did not have any relationship with any of the main political parties. “When asked whether he had said that the underlying allegations of fraud were untrue and that the prosecution was being brought about to punish the RP (Mallya) for his political opinions, he said no, but that the RP (Mallya) was a prominent businessman who became a politician. Both parties have used the case for their own political reasons. He said he was not an expert on fraud but on the political system. He was not qualified to say whether the allegations were true or untrue," the Mallya extradition order said. Judge Emma in the order said that because both the Congress and the BJP are blaming him (Mallya) and others for the state banks' losses that does not mean that he is being prosecuted for his political opinions, even in the wide sense of the word. The order further said: "By a finding of a prima facie case, I acknowledge that this case is being brought on evidence which may or may not lead to the conviction of the RP (Mallya). There is no sign that this is a false case being mounted against him to assuage CBI’s political masters as professor Saez would have it.... I find no evidence to support the contention that the request for VJM’s extradition is, in fact, being made for the purpose of prosecuting or punishing him on account of his political opinions. The argument in relation to extraneous considerations fails."